In the town of Mica AZ, kids are pretty normal and Leo is a normal kid. But Stargirl is different. She dresses strange, plays a ukelele in the cafeteria at lunch, cheers for the opposing team at basketball games. In short, she simply doesn't fit in. But somehow in being so very different from everyone else, she brings special magic to Mica and to Leo's life as well. And now he must choose whether he would rather be with her or be a part of the crowd. This is a hard book to describe or to convey just how deeply moving and inspiring it is. It is more of a fable than a novel, addressing peer pressure, love, and the meaning of popularity. 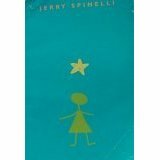 Stargirl is not specific to any particular era and may well remain a relevant book for years to come. Thus, I'll risk calling it a timeless classic.